Perhaps no city differs from its public image quite as much as Los Angeles, California. That’s understandable. The immediate associations with the entertainment industry deceive even seasoned travelers into associating the U.S.’s second most populous city with Hollywood culture. Certainly, you’ll catch a whiff of the easy elegance of West Coast celebrity culture at Chateau Marmont on a Sunday afternoon (or even more likely, in line for a coconut blended smoothie at Earthbar in West Hollywood). Indeed, for nightlife aﬁcionados and fans of popular culture, a list of celebrity hotspots and generous sampling of cocktails may be enough to gather L.A. travel stories for a lifetime. (Hint: if it’s Hollywood movers and shakers you want to meet, you’re more likely to ﬁnd them at Redline DTLA or Bar Mattachine downtown than at The Abbey in West Hollywood). But for those looking for a deeper and arguably more fun experience of L.A., you’ll ﬁnd it to be a shining example of multi-culturalism. We’re one of the most diverse cities in the United States, with the 2010 census estimating a Latino population of around 47% and an African-American population of around 10% of city residents. We also boast the largest concentration of Armenians out of their home country (with the tasty baklava to prove it!) and substantial Asian populations in Chinatown, Thai-town and Japantown. Mixed with a rich ethnic heritage is an entrepreneurial spirit and an openness to new styles and ideas. All that, plus excellent weather, shopping and landscaping, make Los Angeles a must-see even for those who disdain celebrity culture. L.A. is a town of self-styled entrepreneurs, for better or worse. We take a lot of swings and often miss. But the showy L.A. spirit inspires lots of people to indulge their wild ideas for restaurants, museums, bars and businesses. And sometimes, perhaps inevitably, they work. One crazy experience that Los Angeles provides better than any other city on Earth…is the escape room. This is where you pay a fee to be trapped in a maze or murder mystery or otherwise confounding situation with friends or strangers and must work together to ﬁnd a solution. Although the ﬁrst escape rooms in the world began in Japan, Los Angeles was the inaugural American city to jump on the bandwagon and quickly evolved the games to another level. Only 2% of actors in SAG-AFTRA, the major performer’s union, make a yearly salary big enough to pay their bills. But a bunch of those actors who rank 3-5% work at these local escape rooms and they can scare the crap out of you. Of course, other cities have escape rooms, too, but the plots and characters driving this phenomenon in Los Angeles are truly remarkable. 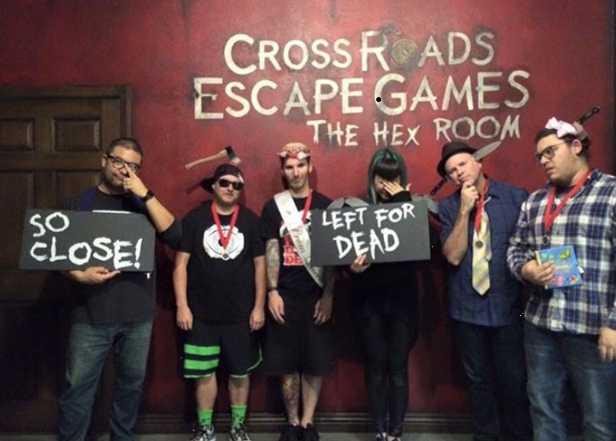 Cross Roads, Quest Room and Escape Room LA are all great options for this once-in-a-lifetime experience and they are all gay-friendly. Escape Rooms ﬁt Los Angeles very well because we’re an incredibly active town - people constantly moving, biking, exercising, going outdoors. Hiking is a year-round pastime here…and one taken very seriously. Runyon Canyon is conveniently embedded in the heart of Hollywood and provides a terriﬁc city view. Plus, it is always packed with gays (so if boy/girl watching is as important as the hike itself, go there!). It’s also great if you only have a few hours to hike before returning to work or play in the city, due to its location. But for a sublime experience that will temporarily remind you of the God of your understanding, try something with more solitude like Los Leones Trail. You’ll forget for a moment that you’re even in Los Angeles and the longer options are more satisfying for those into pushing themselves physically. After committing to the three-hour journey at Los Leones, you’ll understand how the natural beauty surrounding Los Angeles could inspire storytellers otherwise surrounded by the creative chaos swirling throughout the city. After all that activity…you might ﬁnd yourself a little hungry. In terms of its restaurants, Los Angeles is a cross-cultural boon. You’ll ﬁnd a delicious assortment of authentic cuisine. Three places in the neighborhood of Hollywood (as opposed to the idea of Hollywood) represent a good cross-section of dining options. 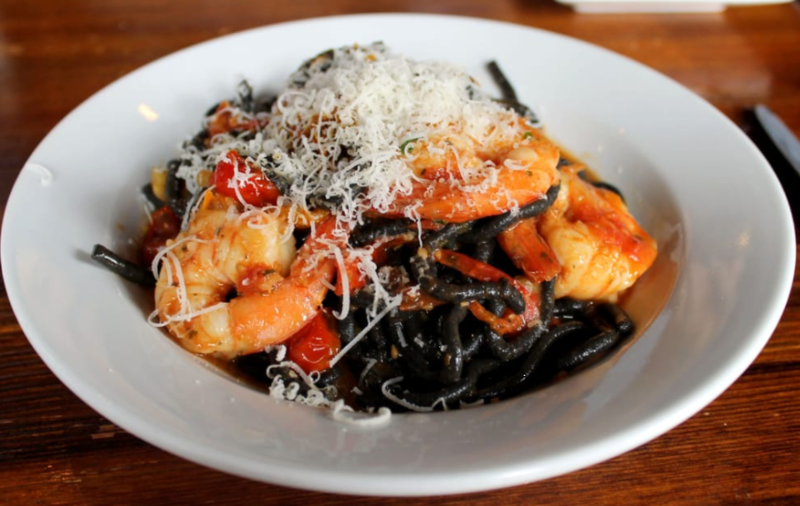 On Melrose Avenue, you’ll hear handsome waiters and elegant staff speaking Italian with each other at Osteria Mamma, just down the street from the iconic Paramount Studios lot. The polipolata (octopus) served in the traditional style with celery, lemon and potatoes…is unforgettable and homemade pastas will satisfy any ravenous appetite. For those looking for a cash-only “dive with great food” option, Sanamluang Cafe is a good one, a Thai restaurant located on 5176 Hollywood Boulevard. The address is important as their signage isn’t in English. It’s super cheap with the spicy ﬂat noodles the best I’ve ever tasted after much international sampling. You’re as likely to see a celebrity off their diet here as at any of the fancy places in Beverly Hills. Little Ethiopia provides yet another alternative, especially if a trip to Los Angeles’ museum row is in the cards. It’s tucked away on Fairfax just south of the museum-going hubbub. Although it’s hard to go wrong in terms of food in that area, Buna is an especially good option, even if all you require is a terriﬁc cup of coffee. Your vegan friends will be satisﬁed with the array of choices available, with the fried ﬁsh options excellent for others. L.A. doesn’t just honor its own ethnic subcultures. It knows how to take a moment in our shared fascination and make it iconic. Epitomizing that venture is the Petersen Automotive Museum, whose collection highlights a 1932 Ford Foose “0032” and a fully loaded Herbie. It just feels right when you’re in Los Angeles to honor the vehicle. So even if you don’t make it out to the museum, look around. You’re likely to see some rare showpieces, especially on Doheny Avenue and Burton Way. If you want to go further back in history than a 1950s roadway, there’s also the superb Getty Villa, which transports you from Malibu to ancient Rome, most especially with the gardens presented in the style popular in that era…even down to the herbs they preferred to grow. Allow at least a half-day visit and you’ll deﬁnitely notice some homoeroticism in some of the statues on display. One of the newest and most popular destinations in Los Angeles is The Broad museum, located on Grand Street downtown. The collection includes pieces from Andy Warhol, JeanMichel Basquiat and Roy Lichtenstein, but most popular are some of the interactive installations of Robert Therrien, whose Under the Table has become an Instagram staple for locals. Tickets are free, but are reserved to capacity quickly and you don’t want to waste your time in a ﬁrst come, ﬁrst serve line during a brief stay. Go to their site (thebroad.org) on the ﬁrst day of each month to buy tickets for the following month (for an April visit, go to the site on March 1st). Seriously, the line is no good. Reserve in advance. And for our tech audience, let’s not forget video games. The most fun experience of the arcade aﬁcionado sub-culture in Los Angeles is Button Mash, whose Gen X-friendly assortment of machines includes Ms. Pac Man, Burger Time, X-Men, Centipede, Food Fight, Mortal Kombat II and many other nostalgic favorites. You’ll see lots of cute, “nerdy yet sophisticated” gays and lesbians in the crowd, which is near the up-and-coming Echo Park section of town. But don’t assume! Straight hipsters go there, too. The food isn’t spectacular so dropping by for a drink around 11 p.m. should be sufﬁcient to soak in the vibe and make new friends. Wrapping up a trip to Los Angeles with a classy nightcap is essential. As Los Angelenos, we are big talkers…about our emotions, inspirations and experiences. By now, you should have plenty to discuss about your trip. If you’re near downtown, Redline DTLA or Bar Mattachine are recommended, but if you prefer to stay in West Hollywood, check out V Wine Room, whose pleasant ambience is the perfect place to relax and decompress before your ﬂight out of town. We’d say we’d miss you when you’re away…but that might be an exaggeration. Perhaps, the stereotypes of Los Angelenos are at least partly true. In any case, it is true that we’ll enjoy our time together while you are here. Just be sure to go beneath the surface tourist traps to get the most out of us.